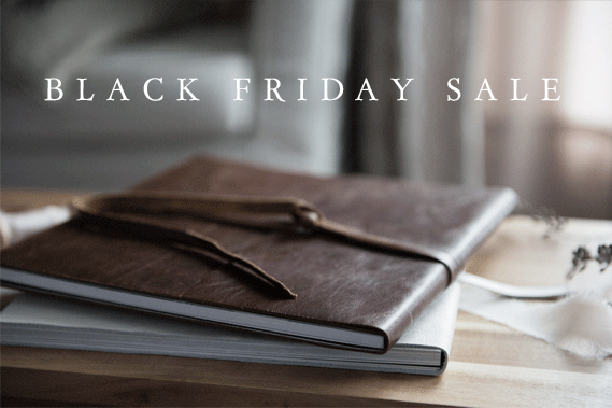 Black Friday 2018 is here, and boy do we have sales to share with you! We’ve put together a list of must-have deals for photographers that will definitely help streamline their day-to-day life. 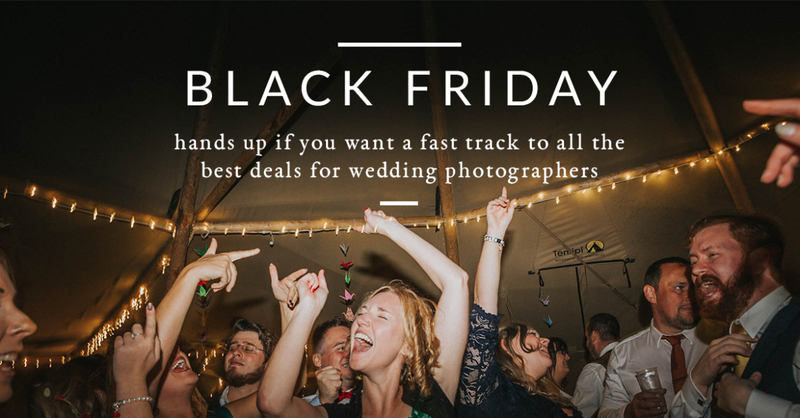 So without further ado, we present to you the best Black Friday deals of 2018 for photographers. 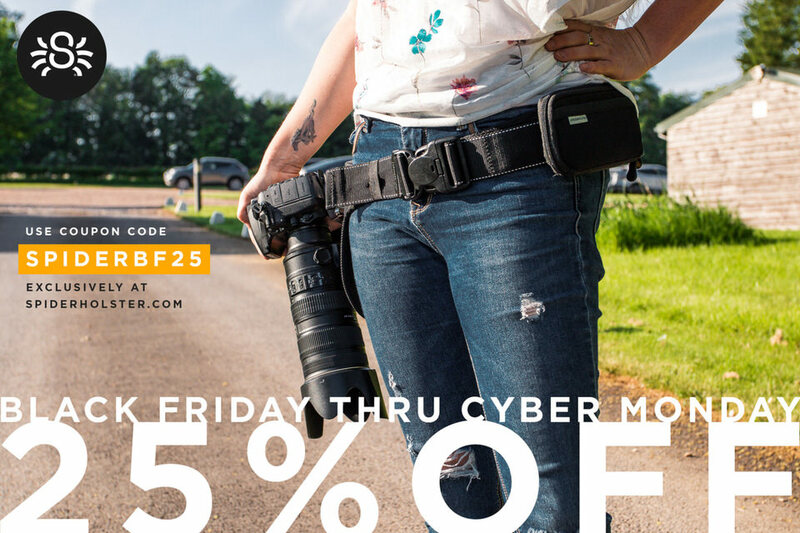 Spider Holster is having their biggest sale of the year offering 25% off top of the line & high quality camera carrying equipment. Get your DSLR and accessories from your hip to your hands in a flash and change the way you carry your gear with Spider Camera Holster products. Get all “Wrapped Up” with our Edwin or Ella album for Black Friday!!. Enjoy 30% Off your choice of our beloved old world charmer. Sale Dates: November 23 – 26th. Táve is the most powerful studio management tool available for creative professionals, helping you get organized and make more! 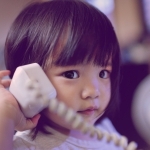 Offer: Save up to 60% off when you prepay for your account. MagMod is having its biggest Black Friday sale ever! Early birds score free MagBucks with orders over $300 during the first 12 hours only. Enjoy up to 20% off and free shipping on magnetic speedlight modifiers all weekend long. 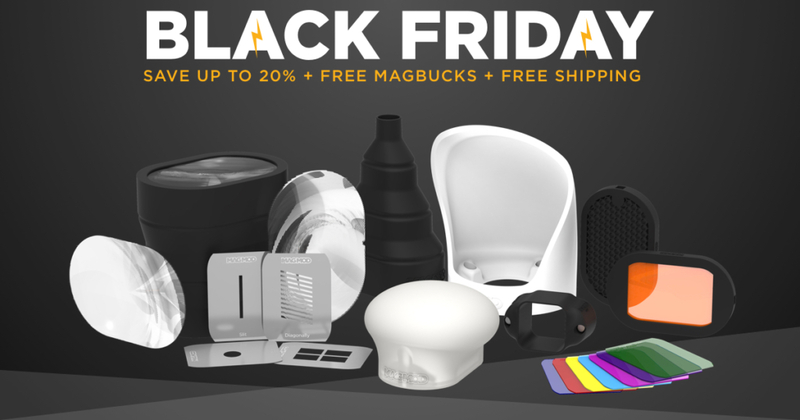 There are 3 awesome ways to save during MagMod’s biggest Black Friday sale ever. • Spend $100+ get 10% off your order. • Spend $300+ get 15% off your order. • Spend $500+ get 20% off your order. We’re also offering free shipping on all orders all weekend long (yes: even international orders)! 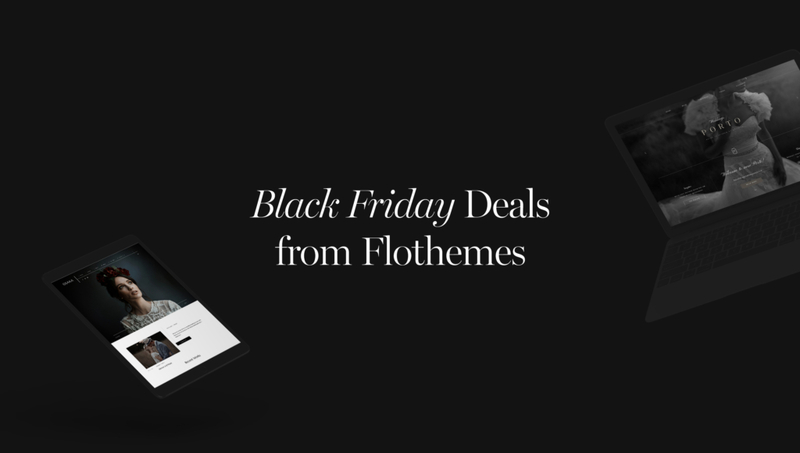 Get the website you’ve always dreamed of & save up to $229 for Black Friday! Flothemes offer easy to customize, responsive, SEO friendly WordPress themes for photographers and creatives. Sale Dates: November 19 – 26th. Built specifically for photographers, Studio Ninja is the world’s most user-friendly photography business app (web and mobile) and will manage your leads, clients, shoots, invoices, contracts, workflows and so much more! 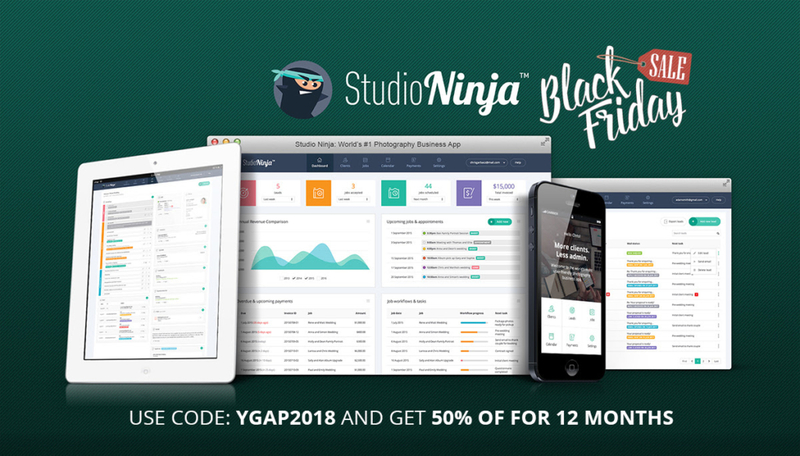 For every sale Studio Ninja will also double it’s donations to YGAP, international not-for-profit backing entrepreneurs with solutions to poverty in some of the world’s toughest communities. 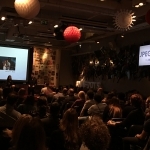 JPEGmini Suite comes with our stand-alone app, Adobe Lightroom and Photoshop plugins. Fundy Software’s best deal of the year. 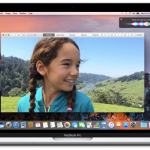 Whether you are purchasing a new suite or upgrading your software, save $119 on any purchase. Sale Dates: November 21 – 26th. 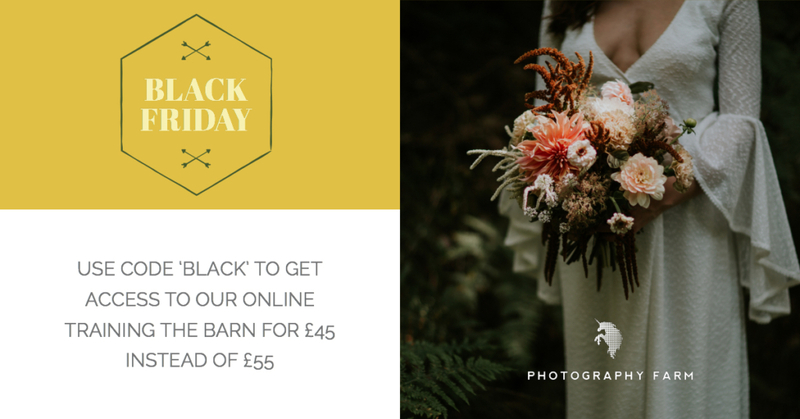 Use the code BLACK when you register before 30th November 2018. 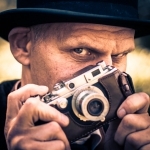 Better Websites for Photographers! 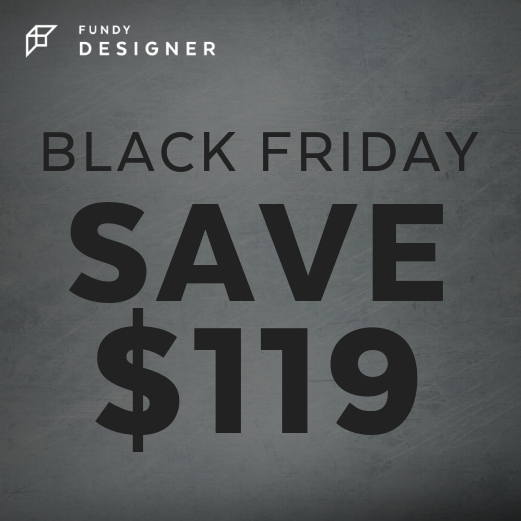 Sign up using our BLACKFRIDAY offer code and save $79 off your Startup Fee. Sale Dates: November 22 – 27th.